Few things can compare to that initial sip of hot, strong coffee first thing in the morning. I literally go “mmm” every day after that first taste as I let it flow through me and gently wake me up. 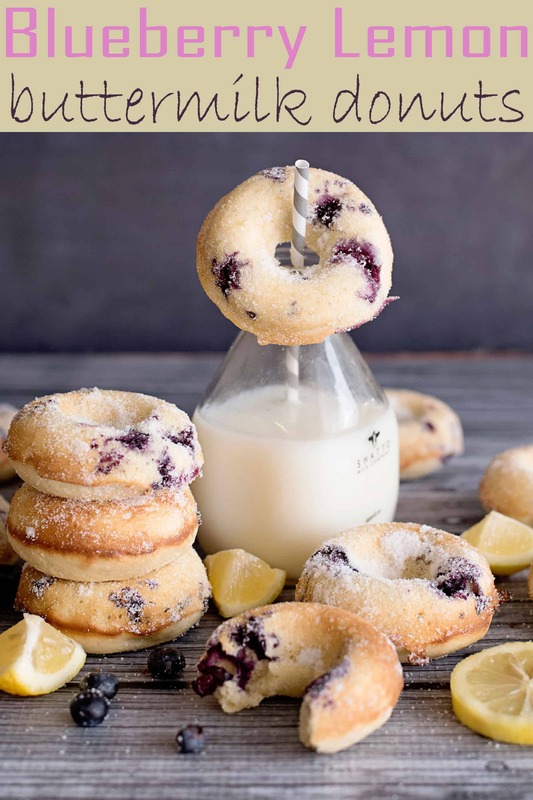 Add something sweet and yummy to the liquid gold in my cup, like this recipe for Blueberry Lemon Buttermilk Donuts and I am over the moon! What a great way to start the day. Because they’re baked! No messy, oily frying for these breakfast treats. And because they are baked they are healthier for you! No serving of guilt along with your buttermilk donut. They are easy to make! With not too many ingredients and a quick baking time, you can be the breakfast hero in a jiffy. 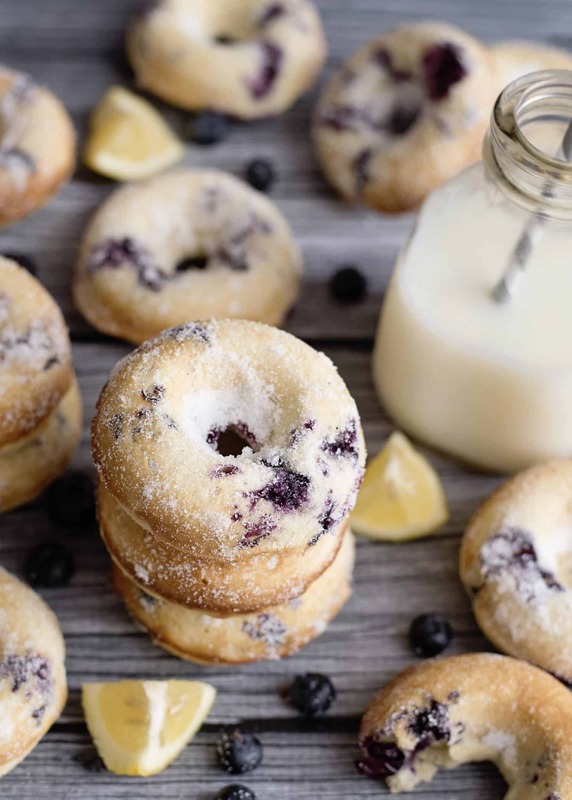 Because they are like the delicious, beautiful merger of two breakfast favorites; blueberry muffins and buttermilk donuts. What an amazing union! 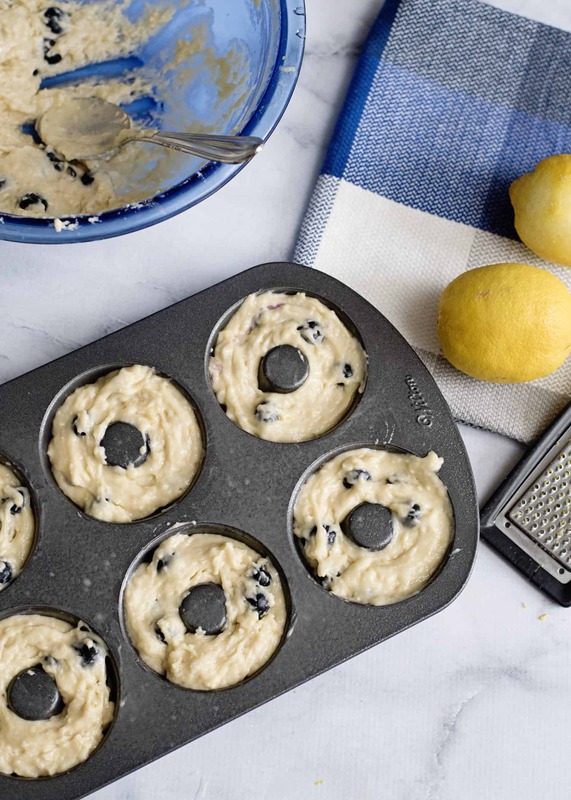 Because lemon and blueberry taste like sunshine. To make filling the donut pan stress and mess free, use a piping bag to cleanly pipe batter into the pan. Don’t have a piping bag? Use a Ziploc storage bag with the corner snipped off. Voila! 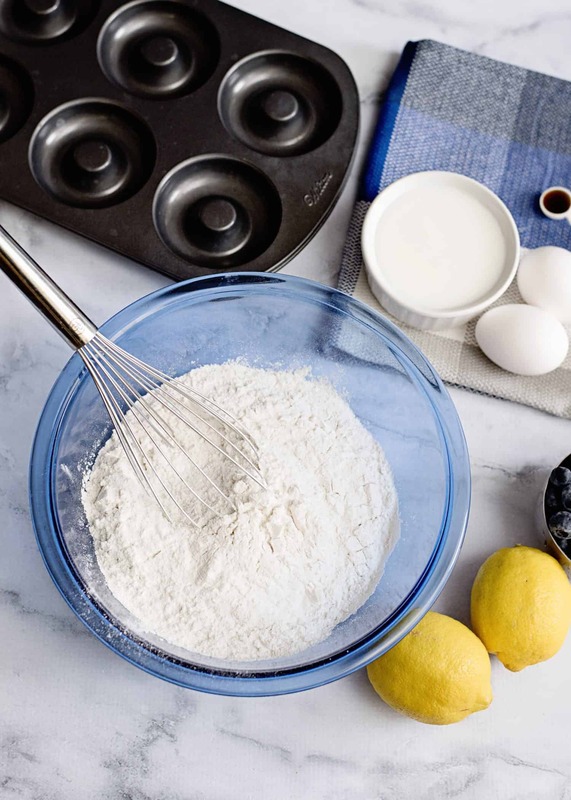 You are now baking like a pro. Don’t overbake! Check your donuts one to two minutes before the recommended baking time. Overbaking can tend to make them dry. A toothpick inserted in the center of the donut should have a few moist crumbs on it. How to zest. For this type of recipe, a microplane zester is probably best, but, if you don’t have that gadget in your cooking tool inventory, no worries. You can easily use a fine grater or even a paring knife. Just make sure your finished zest is on the smaller side to blend well into the batter. Step #1 Preheat oven to 425 degrees and prepare a regular donut pan with non-stick spray. Step #2 In a large bowl, combine the flour, cornstarch, sugar, baking powder and salt. Mix until well combined. Step #3 Using a spatula, mix in the eggs, buttermilk, butter, lemon juice and vanilla. Do not over mix. Step #4 Carefully fold in the lemon zest and fresh blueberries. Step #5 Spoon the batter into your donut pan, about ¾ of the way full. This will make about 15 donuts. Step #6 Bake for 9-12 minutes, until donuts are a light golden brown color. Once done, add the granulated sugar into a large baggie and carefully toss each donut in the sugar. It’s best to do this before allowing them to cool as the sugar will stick better. Step #7 Lay out on a rack to cool, serve warm or cooled. Store in an airtight container. 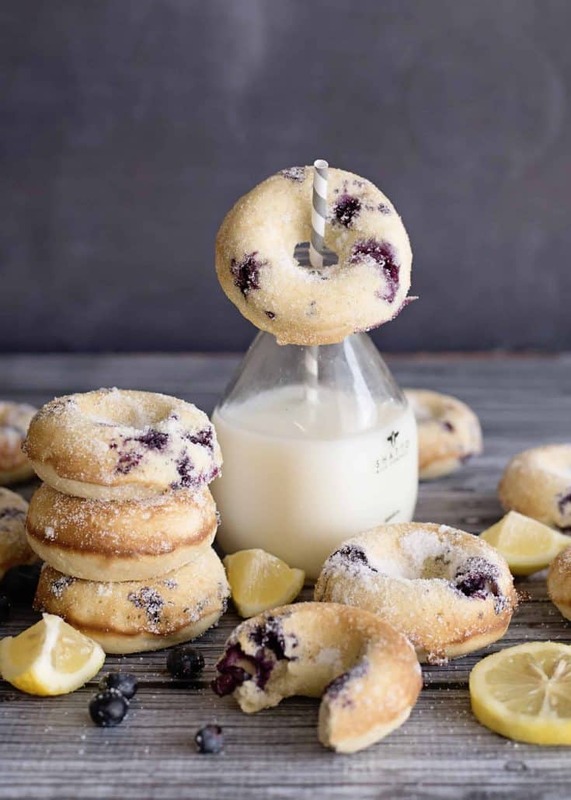 Delicious Blueberry Lemon Buttermilk Donuts are served! Why not pair them with the following for an even more delicious and amazing breakfast. Enjoy! 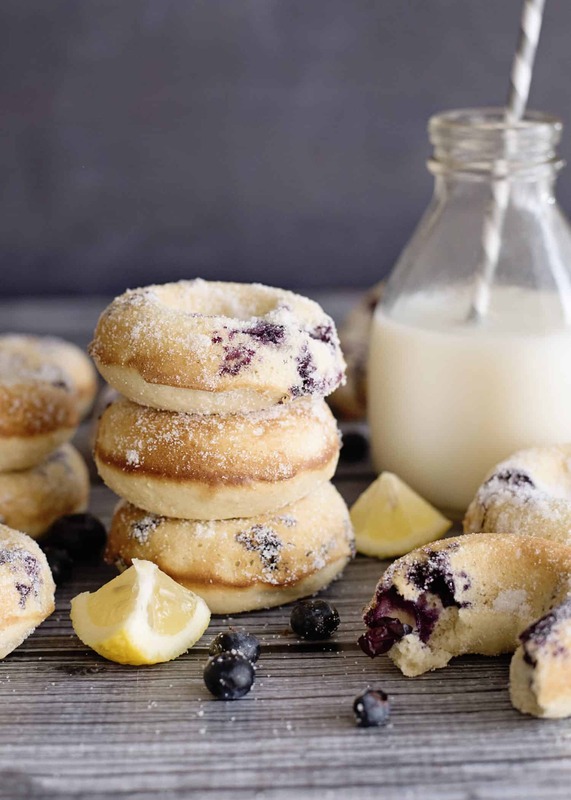 Preheat oven to 425 degrees and prepare a regular donut pan with non-stick spray. In a large bowl, combine the flour, cornstarch, sugar, baking powder and salt. Mix until well combined. 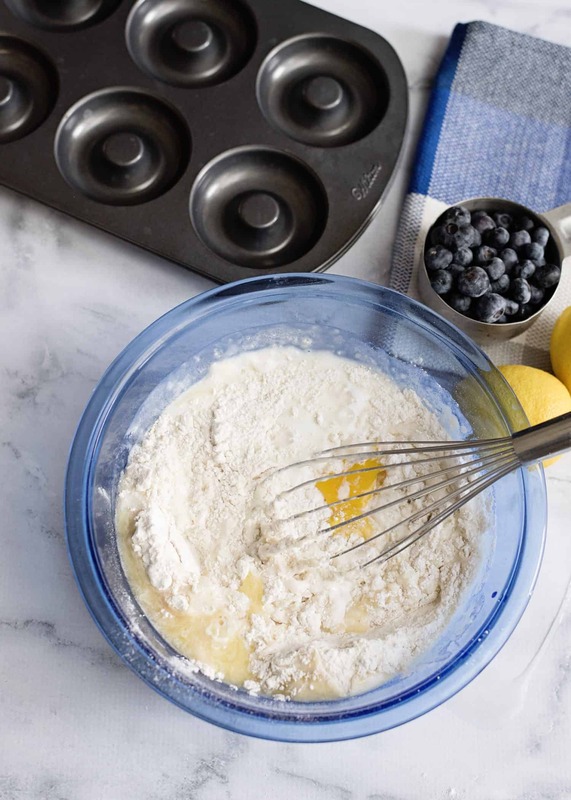 Using a spatula, mix in the eggs, buttermilk, butter, lemon juice and vanilla. Do not over mix. 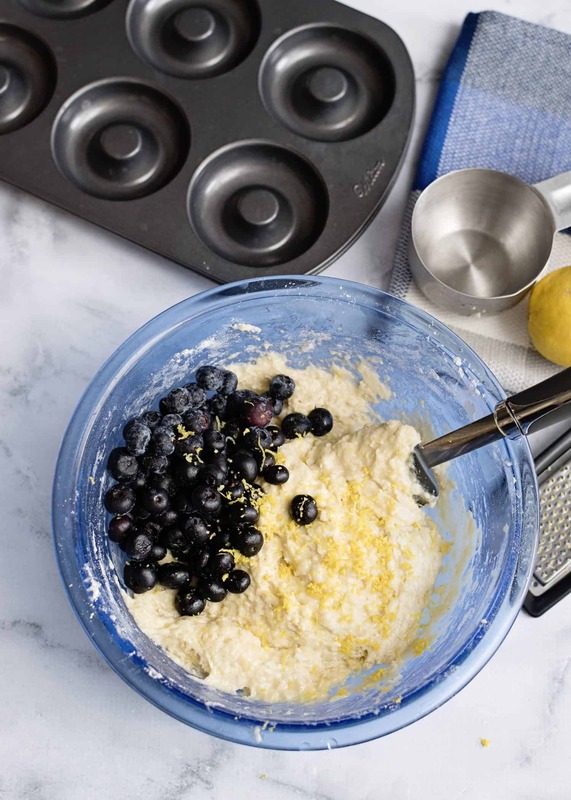 Carefully fold in the lemon zest and fresh blueberries. Spoon the batter into your donut pan, about ¾ of the way full. This will make about 15 donuts. Bake for 9-12 minutes, until donuts are a light golden brown color. Once done, add the granulated sugar into a large baggie and carefully toss each donut in the sugar. It’s best to do this before allowing them to cool as the sugar will stick better. Lay out on a rack to cool, serve warm or cooled. Store in an airtight container.